Our bodies are a breeding ground. Here’s a few of the things we have learned thus far. Bacteria in the human body are not in love with their many phages that live in and around them. In fact, they developed CRISPR-Cas systems – which humans have now co-opted for editing genes – to rid themselves of phages or to prevent phage infections altogether. Why? Because phages kill bacteria. They take over the bacteria’s machinery and force them to make more phages rather than make more bacteria. When they are done, they burst out of the bacterium, destroying it. Finally, phages sit on our body surfaces just waiting to cross paths with vulnerable bacteria. They are basically bacteria stalkers. Scientists Uncover Pretty Gross Stuff in People's "Microbiome Clouds"
So the race is on to find those viruses in our viromes that have already figured out how to protect us from the bad guys, while leaving the good bacteria intact. Indeed, there are recent anecdotal examples utilizing phages successfully to treat life-threatening infections from bacteria resistant to most if not all available antibiotics — a treatment known as phage therapy. Unfortunately, these treatments are and will continue to be hampered by inadequate information on how phages behave in the human body and the unforeseen consequences their introduction may have on the human host. Thus, phage therapy remains heavily regulated. 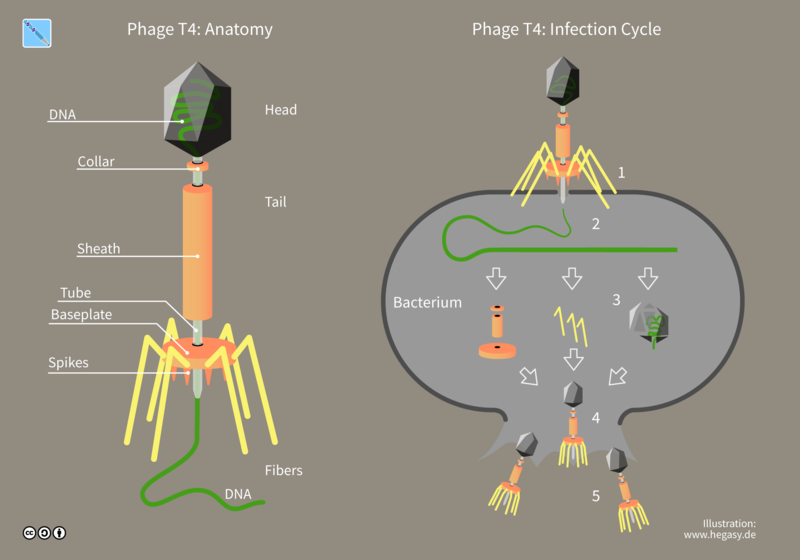 At the current pace of research, it may be many years before phages are used routinely as anti-infective treatments. But make no mistake about it; the viruses that have evolved with us for so many years are not only part of our past, but will play a significant role in the future of human health. This article was originally published on The Conversation by David Pride and Chandrabali Ghose. Read the original article here.